This week on the show the ACR Brain-Trust is back with another meeting of the Social Reject Club in the No Friends Left Zone and the gang is discussing Morgan Freeman promoting the #TrumpRussia psyop, the most expensive cities in the US, Jim Carrey's odd behavior captured recently on camera, the general degeneracy of Hollywood, Evergreen State College settling $500,000 claim by professors who were told to leave campus for being white, the ... See More upcoming "Free Speech Week" at Berkeley and much more. 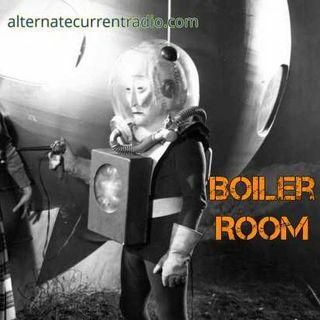 Join ACR hosts Hesher and Spore along side Andy Nowicki the Nameless One & Randy J for the hundred and twenty seventh episode of BOILER ROOM. Turn it up, tune in and hang with the ACR Brain-Trust for this weeks boil downs and analysis and the usual gnashing of the teeth of the political animals in the social reject club.